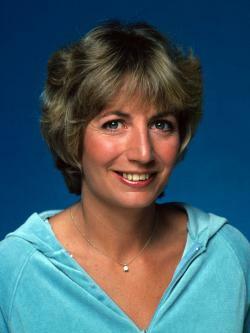 Penny Marshall was an American actress, director and producer, best remembered by the public for her role as Laverne DeFazio on the sitcom Laverne & Shirley (1976). For Laverne & Shirley, she received three nominations for the Golden Globe Award for Best Actress – Television Series Musical or Comedy. She made her feature film directorial debut in “Jumpin’ Jack Flash” the 1986 comedy starring Whoopi Goldberg. Marshall’s Big (1988) became the first film directed by a woman to gross more than $100 million at the U.S. box office. Born Carole Penny Marshall on October 15, 1943 in The Bronx, New York City, New York, to Marjorie Marshall, a tap dance teacher, and Tony Marshall, a film director and producer, she was the younger sister of filmmakers Garry Marshall and Ronny Hallin. Her father was of Italian descent, and her mother was of German, Irish, English, and Scottish ancestry. She first appeared on a television commercial for Head and Shoulders beautifying shampoo. She was married to Michael Henry from 1961 to 1963 and Rob Reiner from 1971 to 1981. With Rob she had a daughter named Tracy Reiner who became an actress. Marshall died on December 17, 2018, at age 75 in Los Angeles, California. Nieces: Penny Lee Hallin, Judy Hallin, Wendy S. Hallin, Lori Marshall, Kathleen Marshall, Scott Marshall. *She was born on October 15, 1943 in The Bronx, New York City, New York, USA. *Daughter of Marjorie Marshall, a tap dance teacher, and Tony Marshall, a film director and producer. *She started tap dancing at the age of 3. *She starred in ABC’s Laverne & Shirley from 1976 to 1983. *On August 12, 2004, she received a star on the Hollywood Walk of Fame at 7021 Hollywood Boulevard in Hollywood, California. *While attending the University of New Mexico in Albuquerque, she met Michael Henry and they were married in 1961.